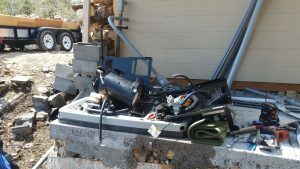 Generator Archives - Collins Control & Electric, Inc. 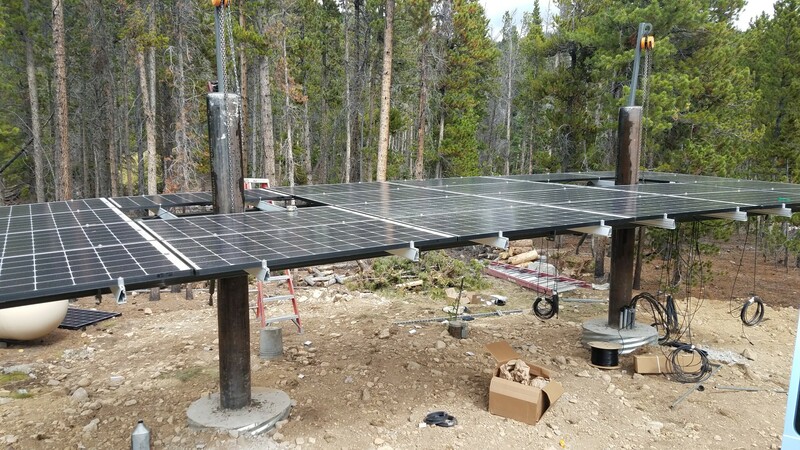 This 6.84kW Montana Solar Ground Mount array is coupled with an existing roof array. 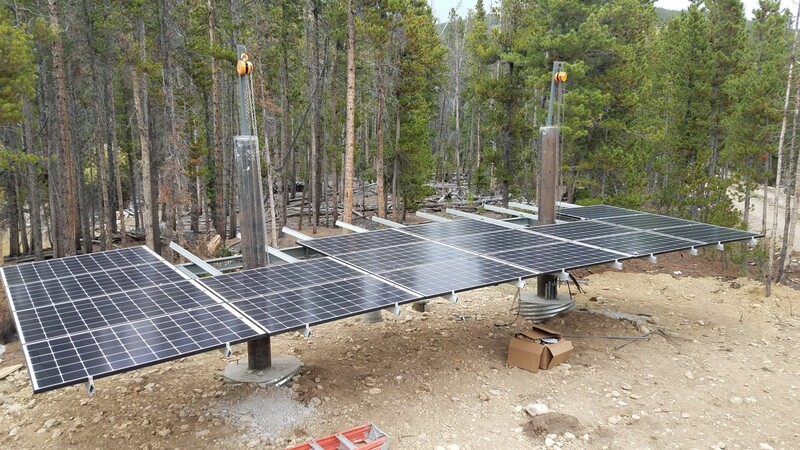 The total combined PV exceeds 13kW of Power! 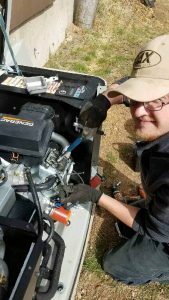 This system will feed an Outback Nano Carbon battery bank with a 1900 Amp/Hour capacity. This system is backed up by a Generac EcoGen 15 kW generator. 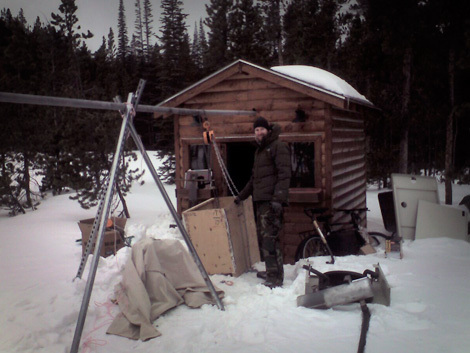 This offgrid system has 2 Outback Radian 8kW inverters. 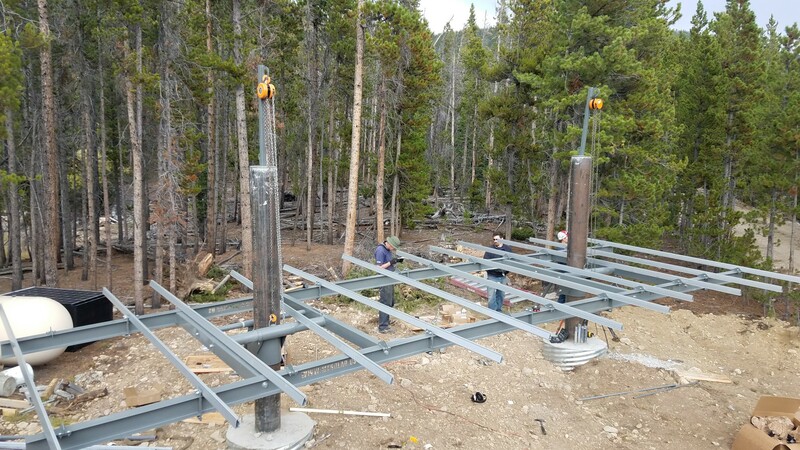 This PV upgrade will offer Power Assurance to this beautiful lake side lodge. CCE and the homeowner can monitor this system from anywhere in the world with the OpticsRE available through Outback. 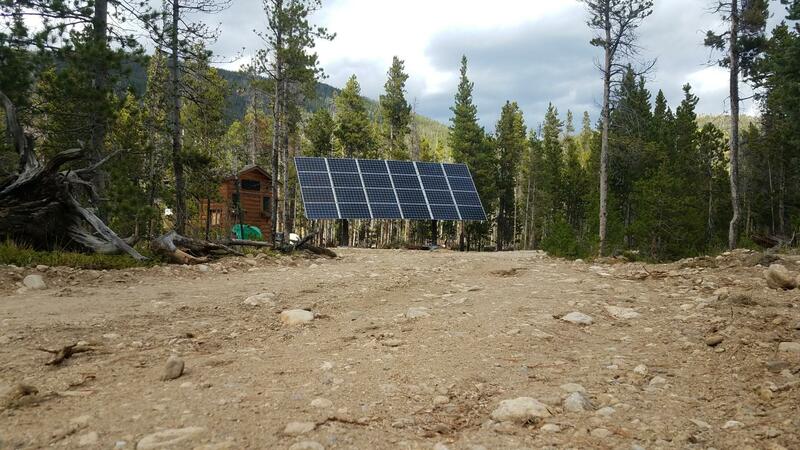 The Optics system makes this Offgrid system available for necessary adjustments year round eliminating the need for a site visit to tweak the system’s programming. https://collins-control.com/wp-content/uploads/2017/03/Collins-Control-Logo-2.0.png 0 0 https://collins-control.com/wp-content/uploads/2017/03/Collins-Control-Logo-2.0.png 2018-07-02 23:37:192018-07-03 17:39:50Offgrid Solar Installation for Colorado Lodge! 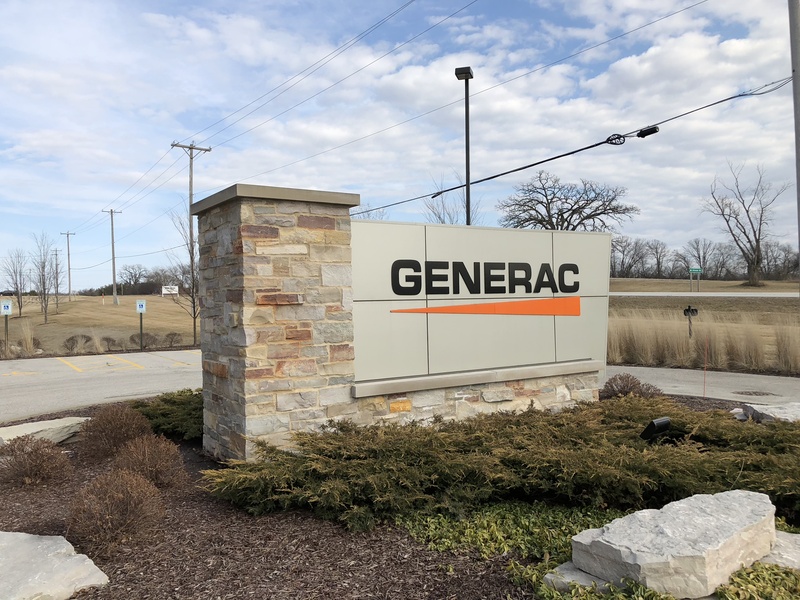 Generac is able to offer a 10 year factory warranty that includes all parts and labor for that entire term! Call today and ask us about the details. 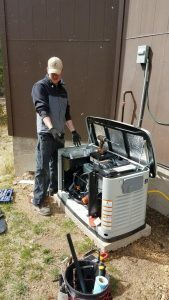 I tell customers that Generac wouldn’t offer these extended warranties if they were losing money. 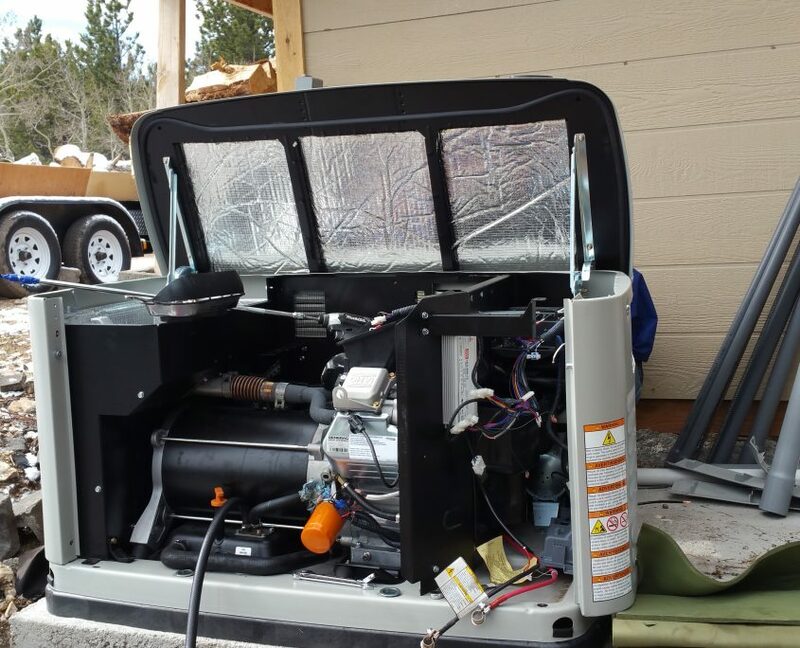 They are able to warranty their generators because they have dialed in the engine design over years of fine tuning through listening to and responding to their customers and dealers. 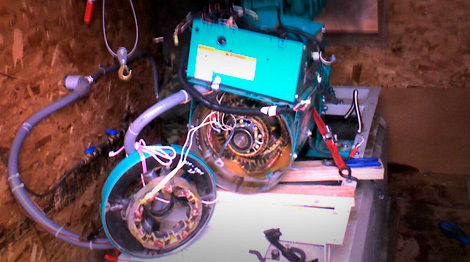 When a warranty to issue arises, we are proud to be able to respond quickly. 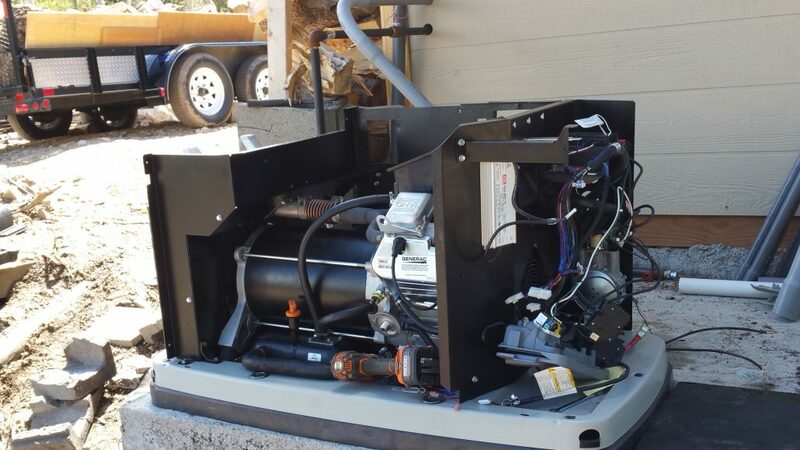 Our factory trained technicians are knowledgeable and also have a direct line to Generac tech support. With our powers combined, there is no adverse generator situation we can’t overcome. These guys are replacing a motor in a stand alone, off-grid EcoGen 15kW Generac generator. 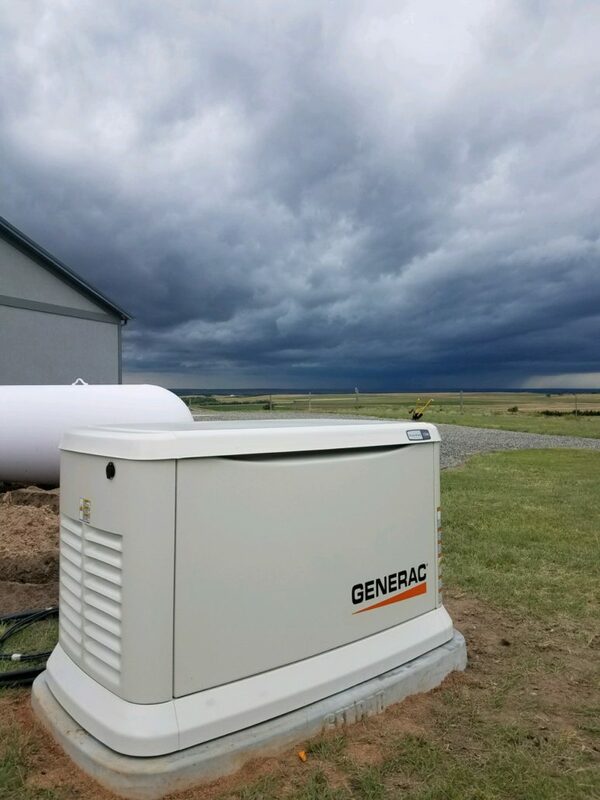 Generac has the longest and most inclusive warranty for their stand alone generators on the market. 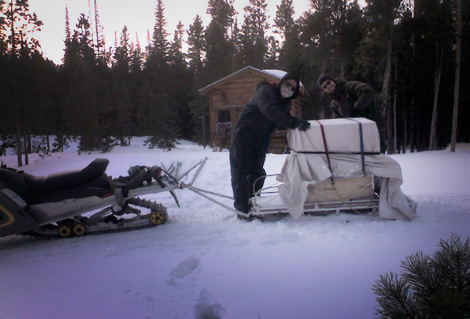 Our guys drove an hour and a half, completed the repair, tested and approved the system, and made it home for dinner! Good job guys! Way to make life better for our customers. 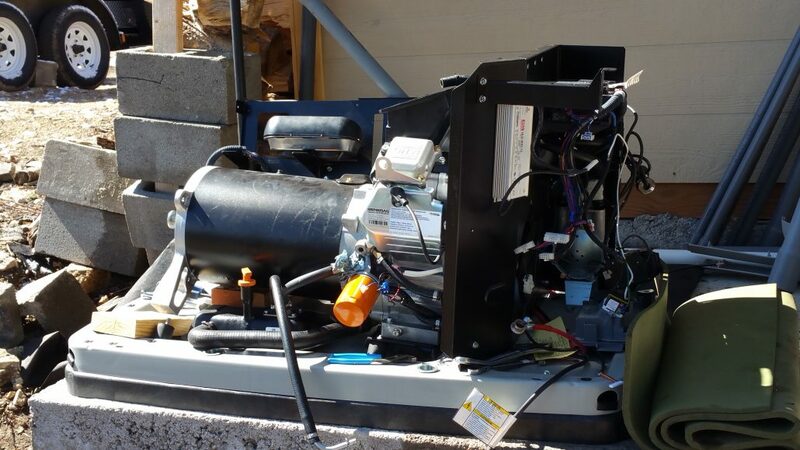 Our team at Collins Control & Electric successfully installed a 150kW Liquid Cooled Generac generator for Gallegos Sanitation, our local waste management company. This system backs up their entire maintenance bay, as well as, their entire office building. 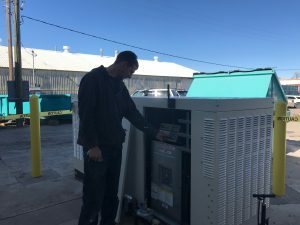 In the case of a power outage, they can continue business as usual, saving GSI and their customers time and money. Let Collins Control & Electric show you how we can offer you power assurance. 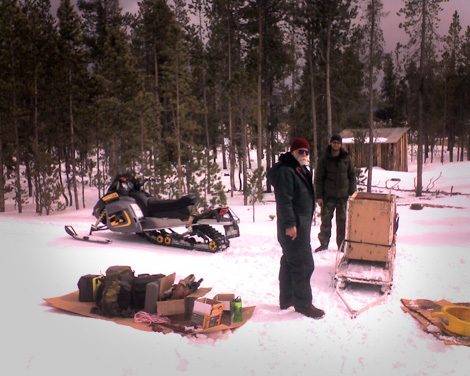 Contact us at 970-484-8696. 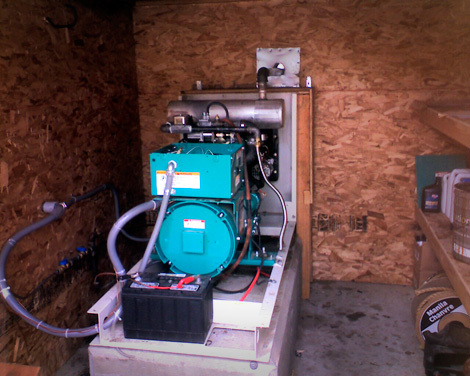 This back up power system requires two 400 Amp fully automatic transfer switches. One switch is for the maintenance bay, and one is for he office. Our team is able to install these so that they activate simultaneously! 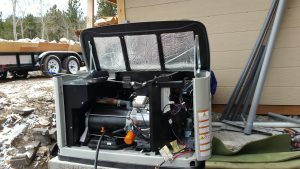 Initial start up and commissioning! 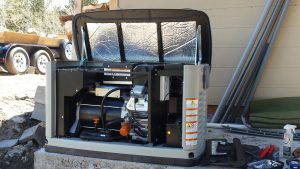 A generator with a solar system brings electric service to off-grid living. 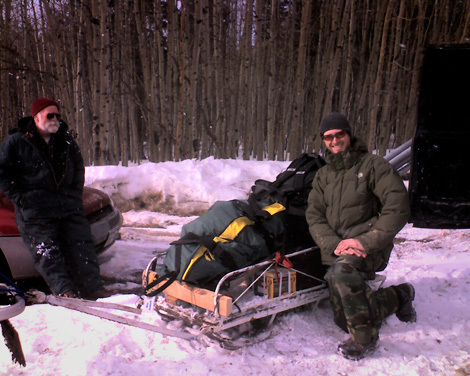 Gary Packard is one of Collins Control & Electric’s off grid customers. 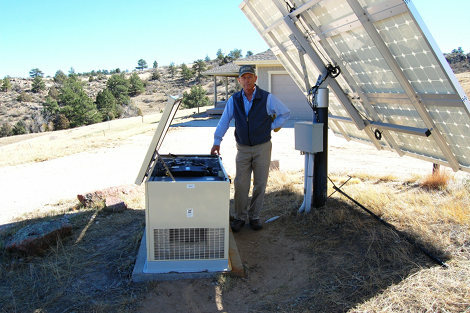 He has a 4.2 KW/hr solar system with a bank of batteries to power his home. 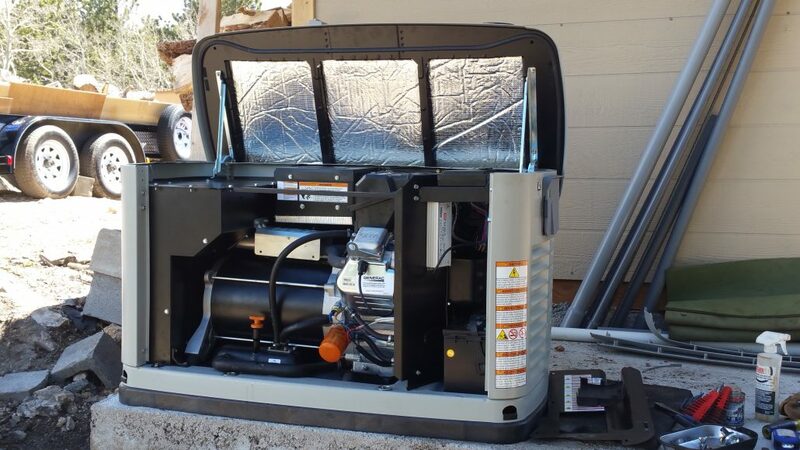 A Kohler 17RES backup generator charges the batteries when the weather is not sufficiently sunny. 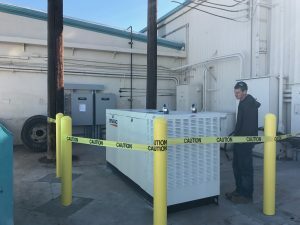 On normal days, the solar power is enough for two days of use, but on overcast days in December, January, and February the generator is on more frequently. This system makes the Packard household energy independent.